Fortnite’s Season 7 has finally arrived, so you’ll be getting to work on seeing all of the new features. With an iceberg hitting the Fortnite island, ice is the theme this time around. However, Wraps are a new thing in Season 7. Here’s everything you need to know about how to get and equip wraps in Fortnite Season 7. Wraps are something we’re seen in shooters for years now. Call of Duty put camo patterns for your weapons at the forefront of the game’s challenges. Now, you can do the same in Fortnite, but it’s not limited to weapons. 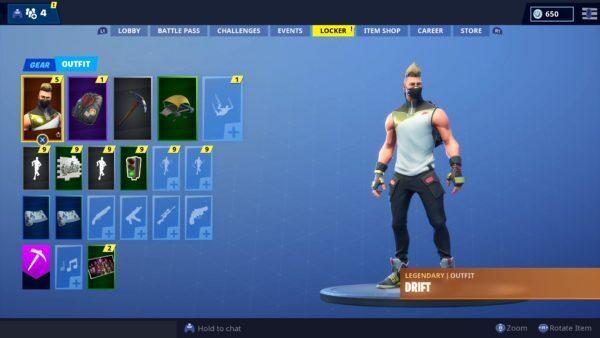 Wraps in Epic’s game allow you to change the look of vehicles you use and weapons you carry. Ensuring that you stand out on the battlefield in a way that’s not just having cool skins for your character. As the Season 7 patch notes show, you can get a variety of patterns, including those that look like carbon fibre, the classic winter camouflage, and burgers. Once you’ve unlocked them, you equip wraps by heading to the locker. Simply scroll across and you’ll see a row of weapon icons and a wheel on the third row down. If you select one of these icons, you’ll be able to choose the wrap that’s equipped. You can either choose the specific one you want from those that you’ve unlocked, or choose a the option that sees the game choose a random one. Arctic Camo will already be available to you if you have both Season 6 and Season 7’s Battle Pass. Simply press X/A, or click if you’re on PC, and it will save. You can also have the same wrap on multiple weapons at a time. That’s everything you need to know about how to get and equip wraps in Fortnite Season 7. For more tips and tricks on the game, be sure to check out our Fortnite Season 7 wiki guide. 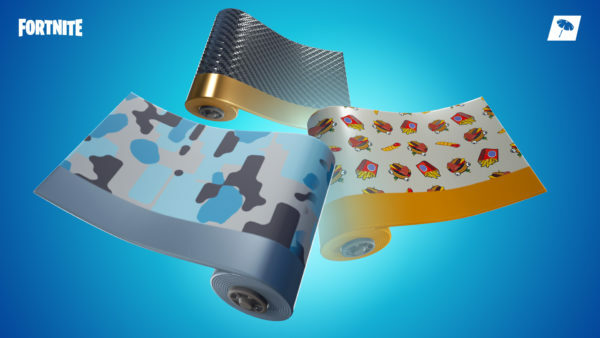 Question: How do you get and equip Wraps in Fortnite Season 7? Answer: You unlocked Wraps by unlocking tiers of the new battle pass. You then equip them by heading to your character’s locker in the Battle Royale menu.